Let us consider something seasonable; let us consider indoor games for a moment. And by indoor games I do not mean anything so serious as bridge and billiards, nor anything so commercial as vingt-et-un with fish counters, nor anything so strenuous as "bumps." The games I mean are those jolly, sociable ones in which everybody in the house can join with an equal chance of distinction, those friendly games which are played with laughter round a fire what time the blizzards rattle against the window-pane. These games may be divided broadly into two classes; namely, paper games and guessing games. The initial disadvantage of the paper game is that pencils have to be found for everybody; generally a difficult business. Once they are found, there is no further trouble until the game is over, when the pencils have to be collected from everybody; generally an impossible business. If you are a guest in the house, insist upon a paper game, for it gives you a chance of acquiring a pencil; if you are the host, consider carefully whether you would not rather play a guessing game. But the guessing game has one great disadvantage too. It demands periodically that a member of the company should go out by himself into the hall and wait there patiently until his companions have "thought of something." (It may be supposed that he, too, is thinking of something in the cold hall, but perhaps not liking to say it.) However careful the players are, unpleasantness is bound to arise sometimes over this preliminary stage of the game. I knew of one case where the people in the room forgot all about the lady waiting in the hall and began to tell each other ghost stories. The lights were turned out, and sitting round the flickering fire the most imaginative members of the household thrilled their hearers with ghostly tales of the dead. Suddenly, in the middle of the story of Torfrida of the Towers—a lady who had strangled her children, and ever afterwards haunted the battlements, headless, and in a night- gown—the door opened softly, and Miss Robinson entered to ask how much longer they would be. Miss Robinson was wearing a white frock, and the effect of her entry was tremendous. I remember, too, another evening when we were playing "proverbs." William, who had gone outside, was noted for his skill at the game, and we were determined to give him something difficult; something which hadn't a camel or a glass house or a stable door in it. After some discussion a member of the company suggested a proverb from the Persian, as he alleged. It went something like this: "A wise man is kind to his dog, but a poor man riseth early in the morning." We took his word for it, and, feeling certain that William would never guess, called him to come in. Unfortunately William, who is a trifle absentminded, had gone to bed. To avoid accidents of this nature it is better to play "clumps," a guessing game in which the procedure is slightly varied. In "clumps" two people go into the hall and think of something, while the rest remain before the fire. Thus, however long the interval of waiting, all are happy; for the people inside can tell each other stories (or, as a last resort, play some other game) and the two outside are presumably amusing themselves in arranging something very difficult. Personally I adore clumps; not only for this reason, but because of its revelation of hidden talent. There may be a dozen persons in each clump, and in theory every one of the dozen is supposed to take a hand in the cross- examination, but in practice it is always one person who extracts the information required by a cataract of searching questions. Always one person and generally a girl. I love to see her coming out of her shell. She has excelled at none of the outdoor games perhaps; she has spoken hardly a word at meals. In our little company she has scarcely seemed to count. But suddenly she awakes into life. Clumps is the family game at home; she has been brought up on it. In a moment she discovers herself as our natural leader, a leader whom we follow humbly. And however we may spend the rest of our time together, the effect of her short hour's triumph will not wholly wear away. She is now established. But the paper games will always be most popular, and once you are over the difficulty of the pencils you may play them for hours without wearying. But of course you must play the amusing ones and not the dull ones. The most common paper game of all, that of making small words out of a big one, has nothing to recommend it; for there can be no possible amusement in hearing somebody else read out "but," "bat," "bet," "bin," "ben," and so forth, riot even if you spend half an hour discussing whether "ben" is really a word. On the other hand your game, however amusing, ought to have some finality about it; a game is not really a game unless somebody can win it. For this reason I cannot wholly approve "telegrams." To concoct a telegram whose words begin with certain selected letters of the alphabet, say the first ten, is to amuse yourself anyhow and possibly your friends; whether you say, "Am bringing camel down early Friday. Got hump. Inform Jamrach"; or, "Afraid better cancel dinner engagement. Fred got horrid indigestion.—JANE." But it is impossible to declare yourself certainly the winner. Fortunately, however, there are games which combine amusement with a definite result; games in which the others can be funny while you can get the prize—or, if you prefer it, the other way about. When I began to write this, the rain was streaming against the window-panes. It is now quite fine. This, you will notice, often happens when you decide to play indoor games on a wet afternoon. Just as you have found the pencils, the sun comes out. James Somers, writer of many fine stimulating blog posts and a nice recent profile of Douglas Hofstadter (titled "The Man Who Would Teach Machines to Think"), has published a long blog post on what makes a good dictionary. He addresses the importance of a proper dictionary to a writer who wants to write well, and he closes with instructions on how to install such a dictionary on all your electronic devices. Here is his "You’re probably using the wrong dictionary". While looking for a good word list to use for a project that I am working on, I discovered ENABLE (which stands for Enhanced North American Benchmark LEexicon), a word list that seems to have been compiled mainly by Alan Beale (with some help from Mendel Cooper) in order to create a reference that can be used when playing word games. Since it is an open and freely available list, it has served as the basis for the word lists used in many games, such as Words with Friends. What distinguishes this word list from the many others out there is how thoroughly its creation has been documented in the many files in the ENABLE package and its supplemental archive. In contrast to other word lists, the ENABLE list has not been crippled by being limited to words under an arbitrary length. The ENABLE list is eminently suitable for most word games, such as Anagrams and Clabbers, and for crossword puzzle solving, rather than just for Scrabble. A great deal of research has gone into removing this limitation, however the list is much the better for it. Another critique of the Scrabble Word Lists and Dictionaries is that they are carrying around many words that were in dictionaries back in the 1970s but have long since disappeared from both usage and lexicons. The ENABLE supplement includes a list of 9,768 stale words (which it defines as words that appear in the Scrabble Tournament Word List but not in modern dictionaries). Most of these stale words (like AXAL (an obsolete form of "axial") and WHERVE ("a round piece of wood put on a spindle to receive the thread")) were words I had never heard of and therefore had no problem eliminating from the word list for my project. There were also some words that I thought needed to be retained based on being in common usage including SPELUNK/SPELUNKED/SPELUNKING (which, according to the Google Books Ngram Viewer, has been used with increasing frequency since about the 1940s) and UPSTANDING (which peaked in popularity in the 1920s, reached a local minimum around 1970, but has been on the upswing since 1990). This is only a sampling of what makes ENABLE so useful. Amateur lexicographers and other interested parties can find and download the whole ENABLE package through this page. During my analysis of the effects of playing Boggle with different letter distributions, I simulated more than 50,000 games of standard 4-by-4 Boggle. One statistic that I was tracking was the longest word found across each of the data sets. Invariably, each data set got stuck at a maximum word length of 11 letters. 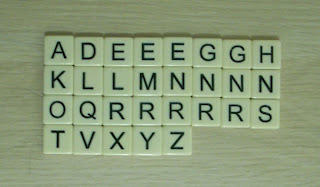 (In the Big Boggle simulations, the solver found words as long as 13 letters.) I was really hoping for something longer, but rather than keep running simulations until I finally find some 12-letter word and have it turn out to be something disappointing, like BORINGNESSES, I've decided to embed one 16-letter word in a Boggle grid and present it below as a puzzle for your solving pleasure. I wanted to buy a copy of Boggle. This seemingly simple mission was complicated by the facts that a) there are different kinds of Boggle out there and b) I like to make things complicated. 1) Boggle Reinvention (now sold as just "Boggle") - While the new sealed case design and the integrated timer mean that you don't need to worry about losing any of the pieces, there are reports that it is possible for two dice to become jammed together in such a way that it is essentially impossible to separate them without opening up the case and destroying the game. In my opinion, Boggle should not be a game that can break. 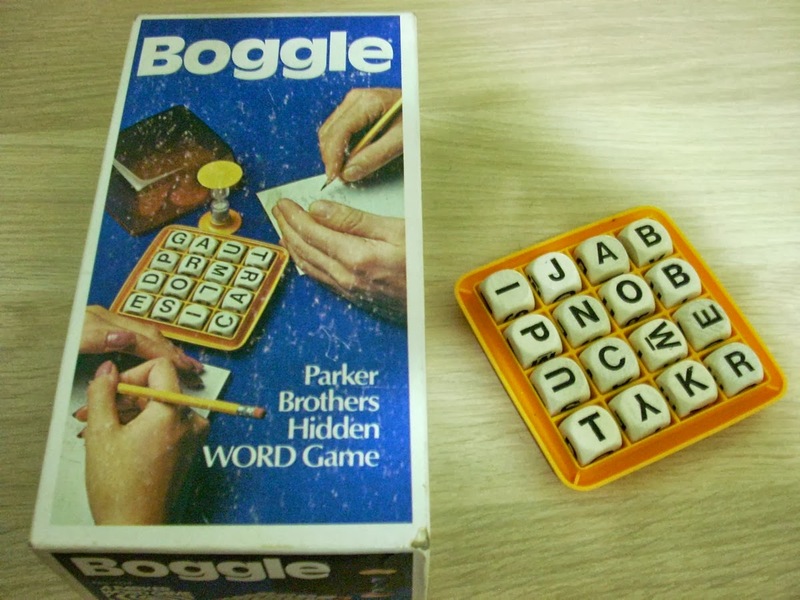 2) Plain old Boggle, made from about 1976 to 1986 (which I will call "classic Boggle"). 3) The version of Boggle sold from 1987 to ~2008 - essentially the same as classic Boggle except that the letter distribution on the cubes was completely redesigned. I'll call this "New Boggle". Below, you can see a side-by-side comparison of the classic and new sets of Boggle dice. To help visualize the differences between these distributions, I sorted the classic letter distribution by number of letters (shown on the left below) and used that order to sort the new letter distribution (shown on the right). In some ways (such as increasing the number of Ts and Hs), the new distribution is closer to the letter frequency in English words, but that motive alone would not explain why the number of As was decreased and the number of Os was increased. It has been suggested that this change was designed to reduce the frequency of harder letters (like K and G) and make finding words easier. One other interesting property of the new set of dice is that since it concentrates certain letters all on the same die, it is never possible to make words that combine F and K (like FAKE, FORK, SKIFF,...) or words that combine B and J (JOB, JAB, BANJO,...). It is also not possible to make words with three Ps (like PINEAPPLE) or two Ks (like SKOOKUM, which is a slang term in the Pacific Northwest, derived from the Chinook language, and having multiple meanings: as an adjective it refers to something that is massive or powerful or reliable or simply really cool; as a noun, it can refer to an evil spirit or demon or a monster somewhat like Bigfoot or Sasquatch; it is pronounced /SKOO kum/). So does this change in letter distribution have an effect on the game? To find out, I ran some simulated Boggle games, generating random boards with each set of dice and using a Boggle solver (written by GitHub user cespare) to determine the number of words in each board, the resulting Boggle score, and the longest word in each grid. 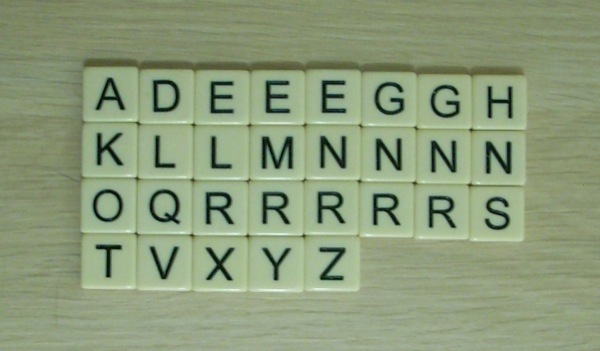 The results show that there are about 12% more words to be found in a New Boggle board. These results are from simulating 10,000 boards for each set of dice, so the numbers in the table may be off by a few percent. 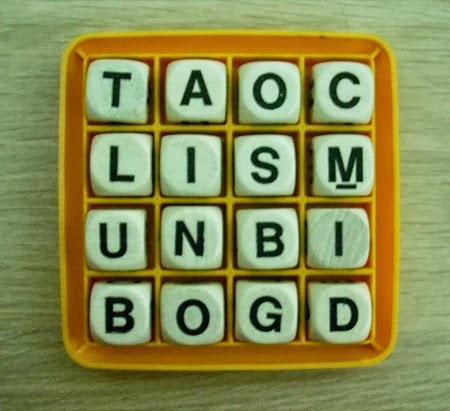 are really close to the classic Boggle results, suggesting that if you want to make your New Boggle game about as hard as a classic Boggle game, you can just remove a die from the corner of the board before hunkering down to find words. Of course, these calculations only confirmed what I already knew: the older version of the game is harder and is the one for me. I bought a copy of classic Boggle from eBay. The dice are made of wood rather than plastic. The timer has sand in it and doesn't make some noise to tell me when time is up. Succinctly, I think it is skookum. Recently, I played a few rounds of Bananagrams. At the beginning of the last game, I flipped over my tiles and only had three vowels. As I continued to peel mostly consonants, I realized that the optimum strategy was probably to dump consonants until I obtained a more reasonable consonant-to-vowel ratio, but I wanted the challenge of trying to finish the game without dumping tiles. But by the end of the game, the situation had not improved: I had 23 consonants and 6 vowels. Furthermore, I also had a Q (with no U), an X, and a Z. I was nowhere close to finishing my grid by the time someone else won. I decided to save the tiles and try to work out a solution later. 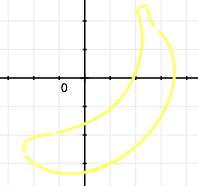 I spent some time working on this problem on two consecutive nights. The second night I found a solution that used all the letters but one N, but that seemed to be the best that was possible. Finally, several days later, I found a true solution. It's possible to vary some of the peripheral words and get alternate solutions, but there is a core structure that I have not been able to alter without rendering the grid uncompletable. I leave this as a challenge. I will post a solution at some point in the future. In England in the Middle Ages, the common practice of hunting led people to coin terms for groups of animals that were specific to each sort of animal (such as a gaggle of geese or a pride of lions). These specialized collective nouns are therefore called "terms of venery" (where "venery" is another word for hunting). In the 14th and 15th centuries, this became a full-fledged fad, with silly terms being coined just for fun and with the process being extended from animals to groups of people. These terms are still being concocted today. For those of us who like such neologisms, there is now a site dedicated to them: All Sorts (subtitled "a linguistic experiment"). A good place to start is the list of collective nouns sorted by popularity. The way the site works is that it catalogs whatever suggestions people make on Twitter (when they use the hashtag "#collectivenouns"). The All Sorts project is a great concept because it clearly demonstrates the frivolity and playfulness of minting new collective nouns. Try it. It's fun!